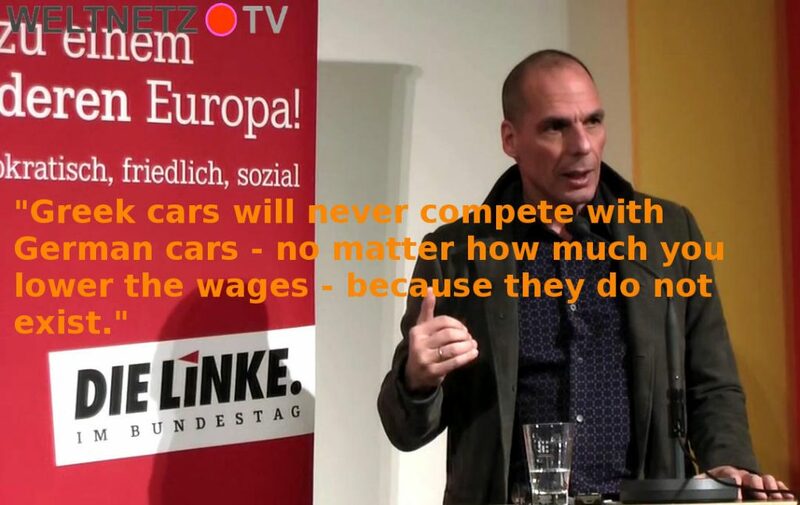 Mr Varoufakis says 2008 is similar to 1929. When a financial crisis hits (there are probably banks who prepared for this and some who did not) the US states move closer together while the EU states fall apart? But who wanted to have a united states of Europe in the first place? It seems like all of Europe is afraid of an united (East and West) Germany. And even East Germans now say: “please put up the wall again – but this time – you get the Russians”. The European Union was without borders – was only good for the big multinational export companies and maybe the bankers and speculators. The rest suffered from this kind of “freedom”. Ask Germans how often they drive to Polen for shopping… never. Never forget psychology in context of economy or politics.